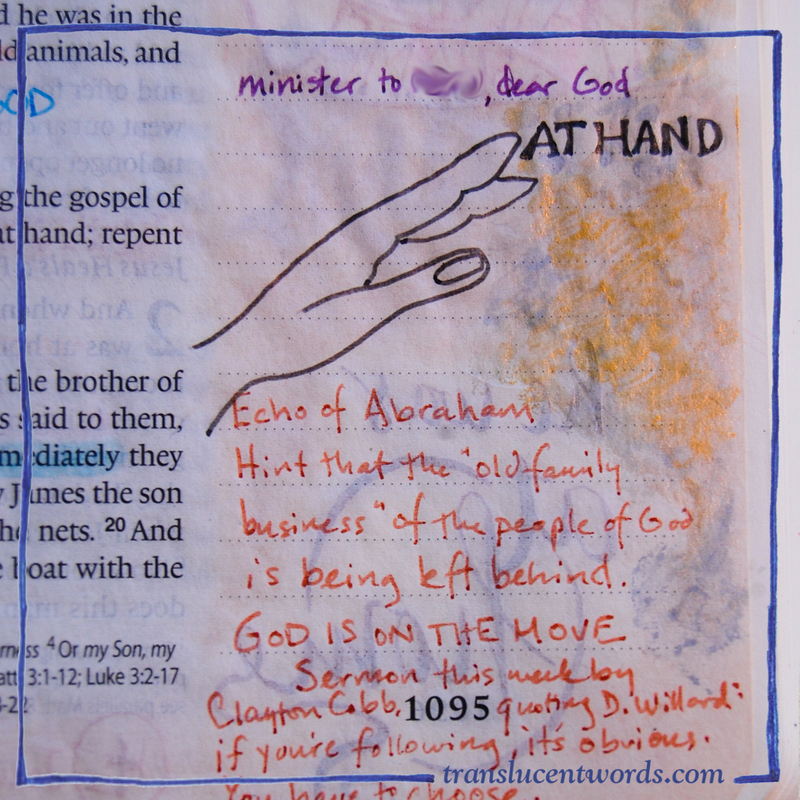 I have always been fascinated by words that are part of visual images, and I decided to play with that in my Bible journaling last week. 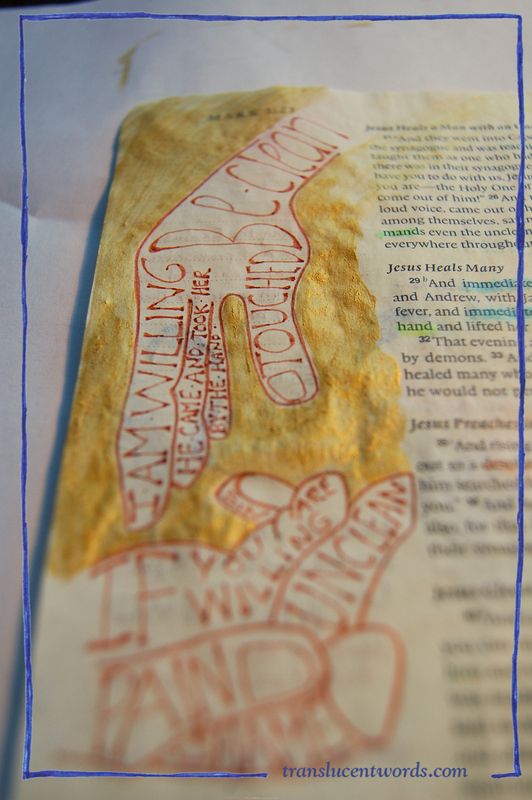 Actually, that wasn’t the only hand with words I drew: on the page before I illustrated “the Kingdom of God is at hand” with a hand stretching out and just touching a shining mist. (Materials: Staedtler 01 black pen; Yasutomo pearlescent watercolors.) Hands and words, hands and words…they just belong together! 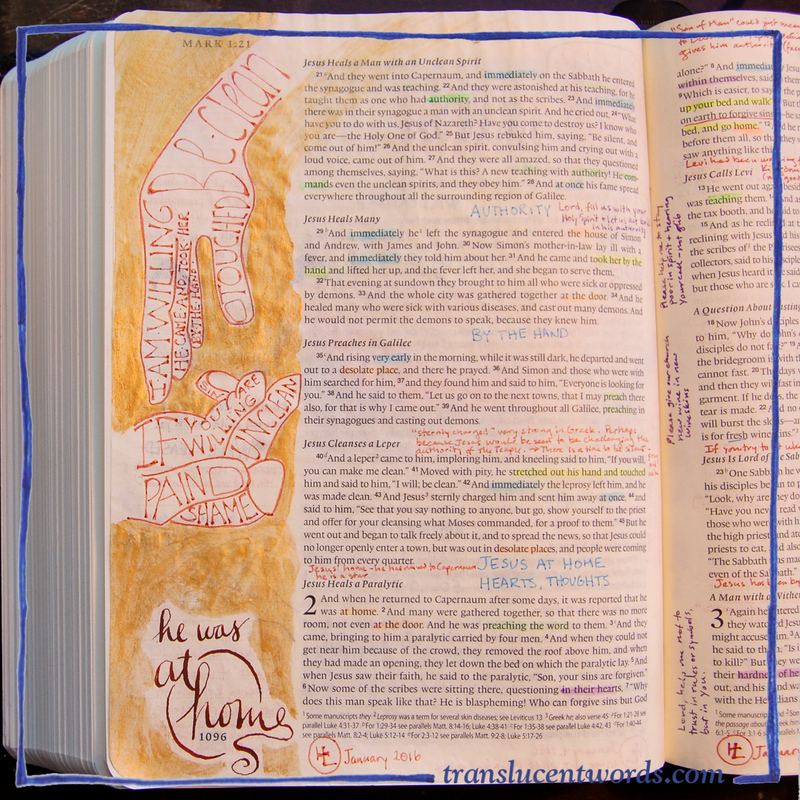 How do you like to mix words and images in your journaling? Wow, this is beautiful. I love it.